These last days before I’m going to fire, I’ve been working on some new creations. 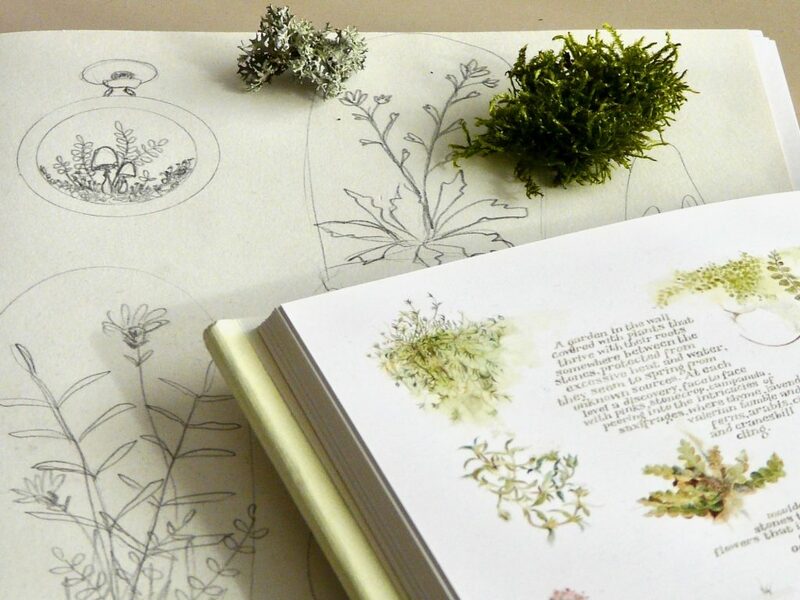 I’ve been doing a little research on moss, plants and wildflowers. 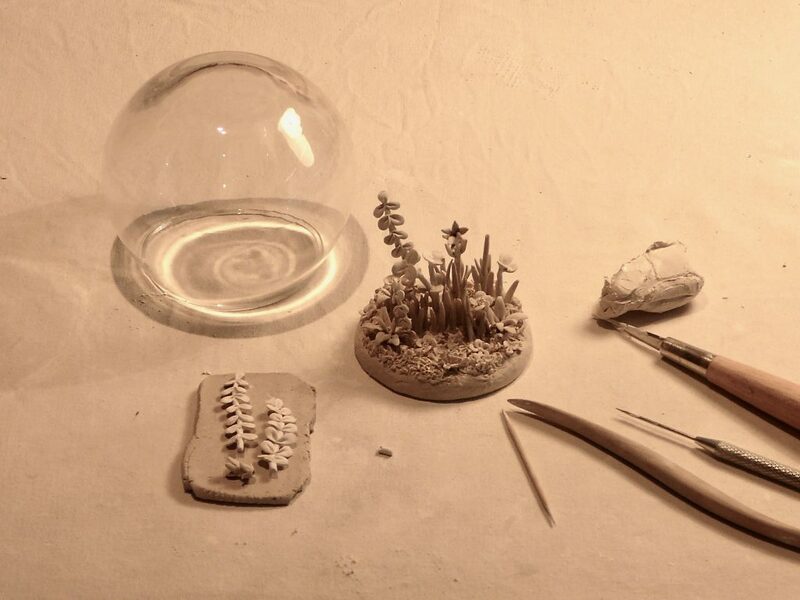 I’m making miniature creations of moss, plants and wildflowers under glass domes. Lots of fragile work, but I love creating tiny porcelain plants and flowers! This composition will be the new clockwork of an old watch. Time really slows down when one closely watch nature’s beauty and details! 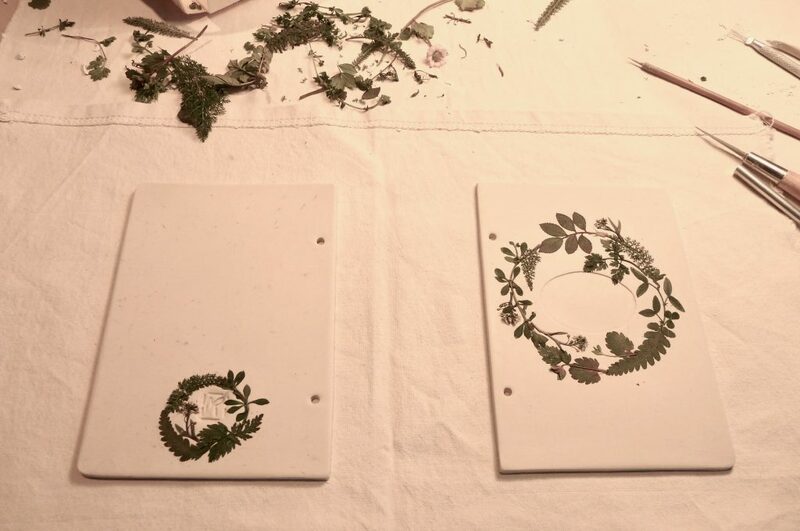 I’m also making some new porcelain notebooks and herbarium books. 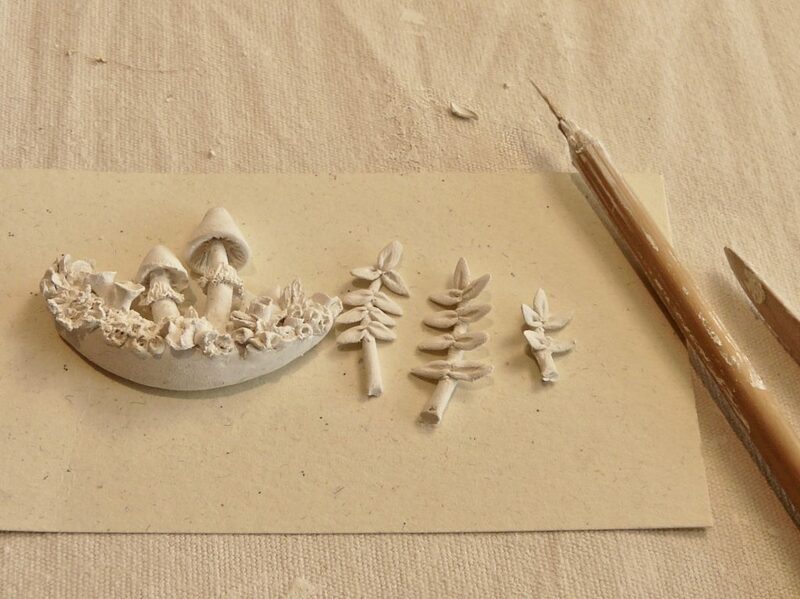 The first leaves are growing and wildflowers are blooming so I can use them to press in to the soft porcelain clay. 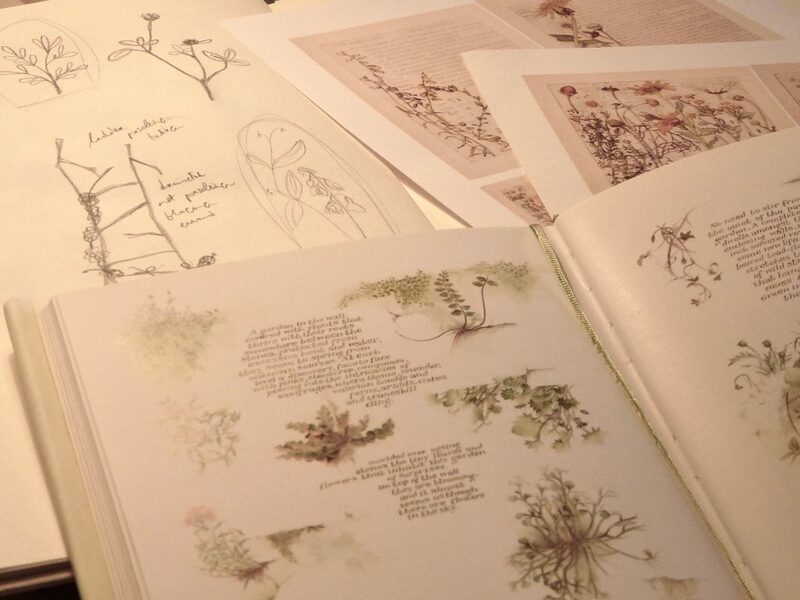 Afterwards they are subtly coloured by hand. 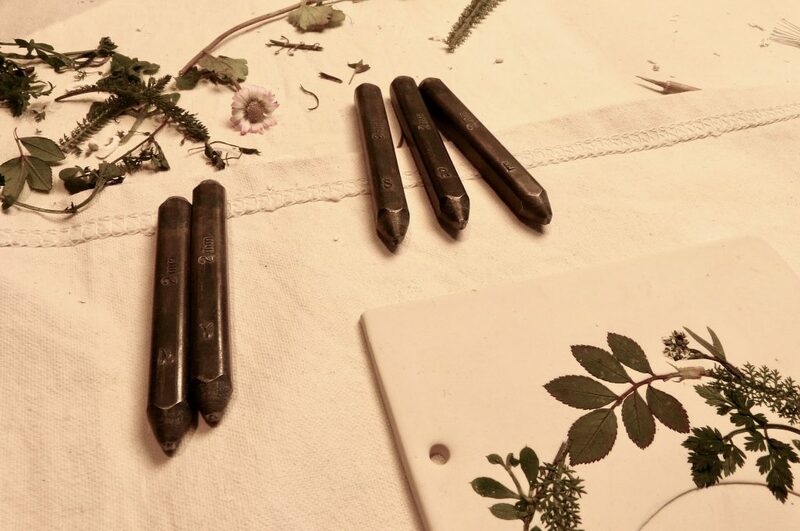 And some other new botanical work… I found these tiny antique watch boxes on a flea market. They are now becoming tiny herbarium boxes. 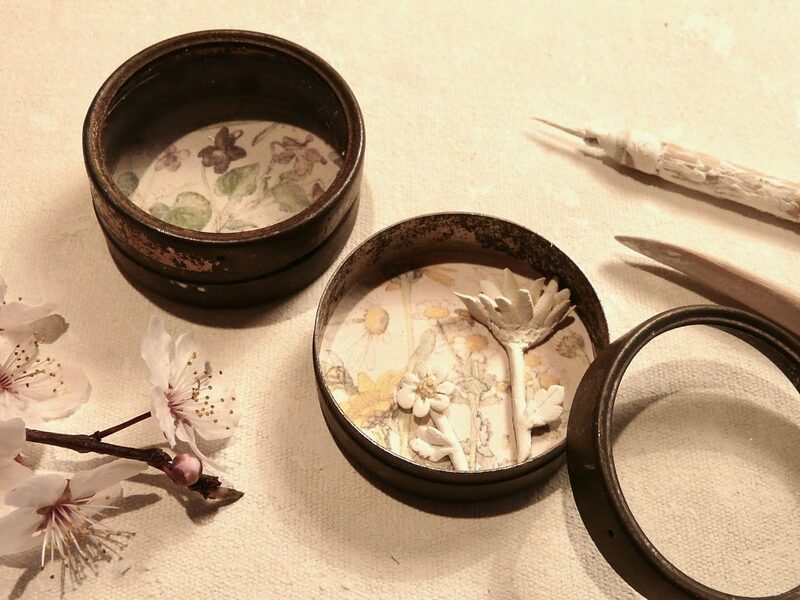 An old botanical painting is the background for these really tiny flowers I made in porcelain. 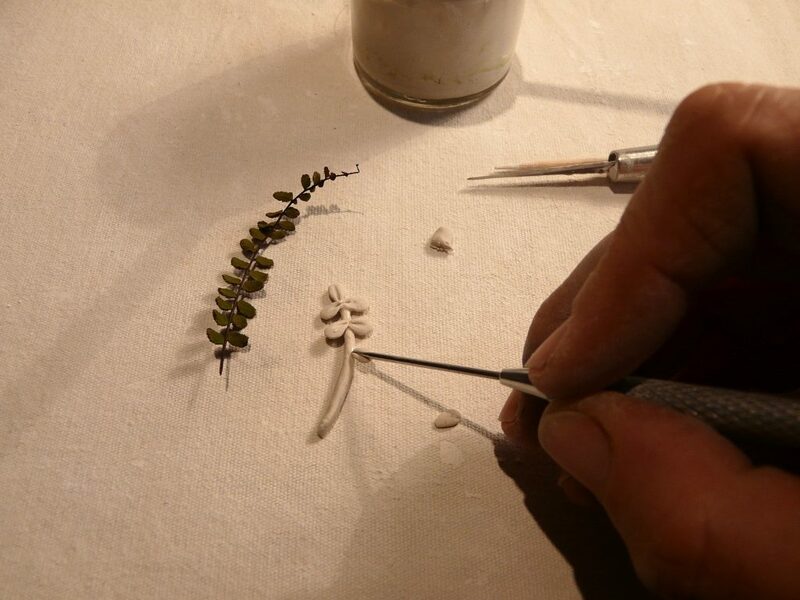 It was a real challenge to work on this small scale! 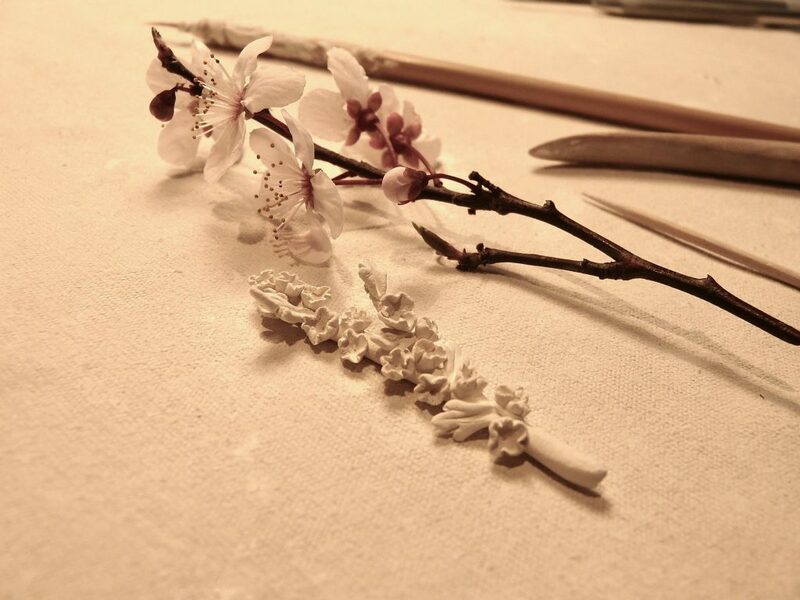 Spring time is blossom time… A real blossom branch and a very small porcelain one.